Many years ago, in the not-too-distant past, in a world almost exactly like our own, something else roams the land. Something rough. Something tough. Something rootin’ tootin’, cattle drivin’, yee-hawin’, and ready to bust some bucking broncos. Something… kind of smelly. Greetings, fellow science fanatics! Welcome to SciTech Industries. Step into our lab and join us for an experiment or two! Worried about explosions? Don’t be! We’ve taken every precaution to ensure our students have a safe and educational experience. In case of emergencies that say, teleport one of us back to the Old West, we’ll just rebuild our time machine and get them back to the present lickety-split! A little bit of frontier frolicking never hurt a fly… we think! Of course, the last time our scientists traveled through time there were a few- minor- glitches… but, nothing to worry about! After all, surely they’ve worked out all the kinks by now. How many times can time travel go wrong? 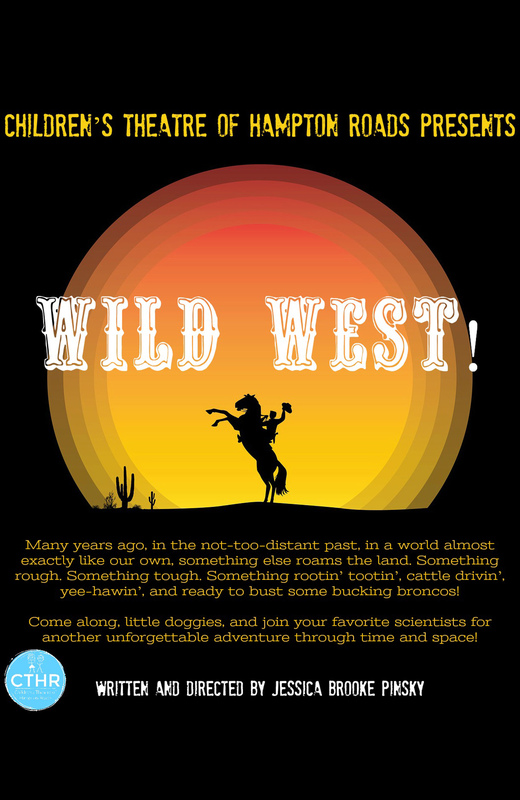 Come along, little doggies, and join your favorite scientists for another unforgettable adventure through time and space: “Wild West!”, the final installment in CTHR’s Trilogy! series. For buckaroos of all ages (best enjoyed by cowpokes 4 and up).